The day we opened our doors on September 12, 2009, people were flocking into the doors, carrying out our humble boxes of Bannock, and the biggest question we were asked, and still to this day…”Are you a Franchise?” I always said, “Our dream is to franchise, and here we are almost 7 years later, a member of the Canadian Franchise Association. We’ve attended 2 franchise shows in BC and Alberta and it’s been the best experience in the world of business. Build it & they will come! Over the years of operating Kekuli Cafe, our goal was to hone in on the menu and our Brand. We needed the menu to reflect, what we knew, as consumers wanted, the way the world is headed towards fresh, fast and healthy options. 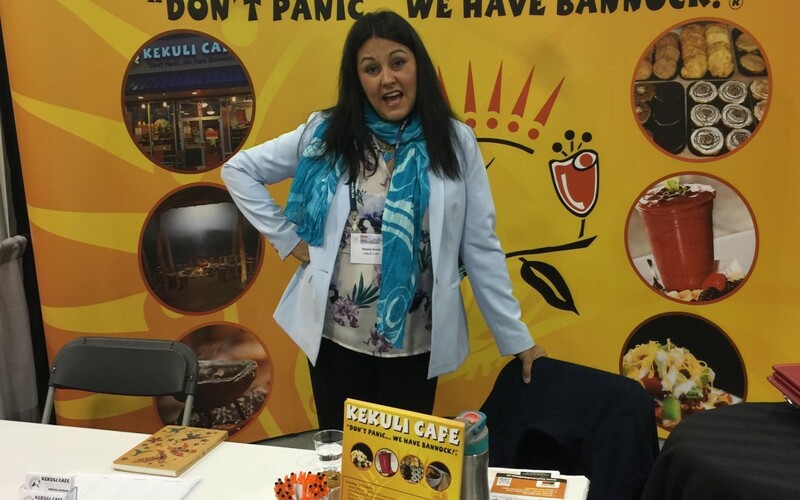 Kekuli Cafe, “Don’t Panic…We Have Bannock”! est. 2009 Westbank BC, & second location August 1, 2014 in Merritt BC. The destination of choice for fresh, healthy and fast-casual, quick serve cafe. We may be new to Franchise world, but we’ve made the headways in the world of Indigenous Food and creating a way to make it fun, fresh & even healthy! We’ve been ahead of the fast food chain, in some areas, that surprise us, when other chains have new food or drinks come out, we’ve already been there and done that! Both our locations have been serving alcohol as a coffee shop for almost 2 years, and other businesses are following our footsteps. We have the drive to succeed, the perseverance to never give-up and the passion for people! Our goal is to make this the best business in Canada and the best place to be.